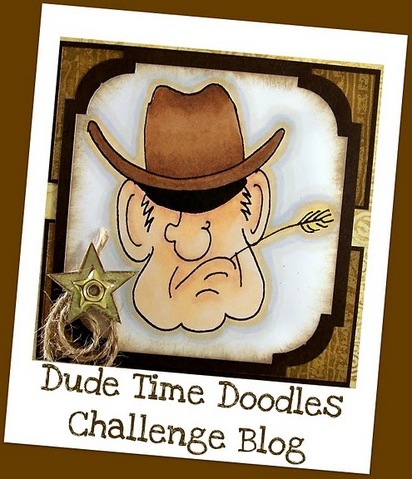 Our challenge this week is a card challenge - create a masculine card. Anything goes! This week's challenge is inspired by old western films. A Western films is defined as a movie set in the American West that embodies the spirit, the struggle and the demise of the new frontier. It's hard to think of westerns without thinking about Gary Cooper, The Lone Ranger and, of course, John Wayne. A few popular westerns include "The Good, The Bad and The Ugly", "Young Guns", "3:10 to Yuma", "Dances With Wolves" and "High Noon". Our fabulous sponsor this week is Dude Time Doodles! 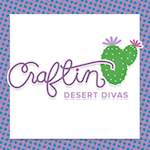 They are giving away a $10 gift certificate! Along with the randomly chosen winner of this week's challenge, the card design team will also be taking a look at ALL of the submissions and voting on their top three "spotlight"submissions. The spotlight submissions, along with the random winner, will be announced on Tuesday November 20th and will receive a special badge for their blogs. Here's the card I came up with for this weeks western challenge. Thought it would be fun to use a little cowgirl that's ready to rope you in! The image is from County Fair cartridge. These papers are from My Minds Eye Dolled up stack. I thought the paper was perfect for her jean skirt and handkerchief. I embellished it by adding a star brad in cowgirl and then added some lucky horseshoes to finish if of. 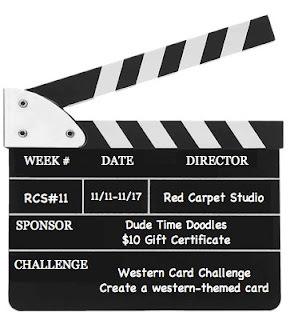 Every second week of the month Red Carpet Studio will host an award show for the winners who won the previous month's challenges. The nominees will include each week's randomly chosen winner and also each week's spotlight submissions, categorized by the different challenges. 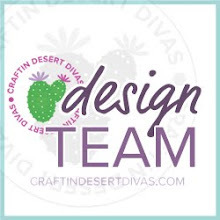 The four winners of each week's challenge will be running against each other so bloggers can vote for which creation they like best based on creativity, skill, and the use of the challenge inspiration. Go vote!! 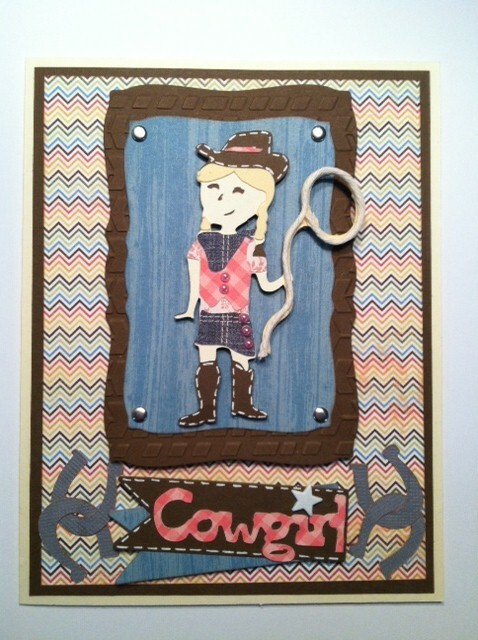 Love your cute cowgirl card very fun. Tara your card is sooo stinkin cute! I love that paper you used for her clothing! This is definitely western feeling! Love this! Also wanted to say thank you for the wonderful comment you left me on my blog this morning about the fall wreath. I hope you do decide to make a Christmas one because I'd love to see it! !